I went a little cupcake crazy. We were having a Mexican themed dinner party. What to make for dessert? Churros of course! But wait - those are tricky and require constant attention in the kitchen, away from your guests. 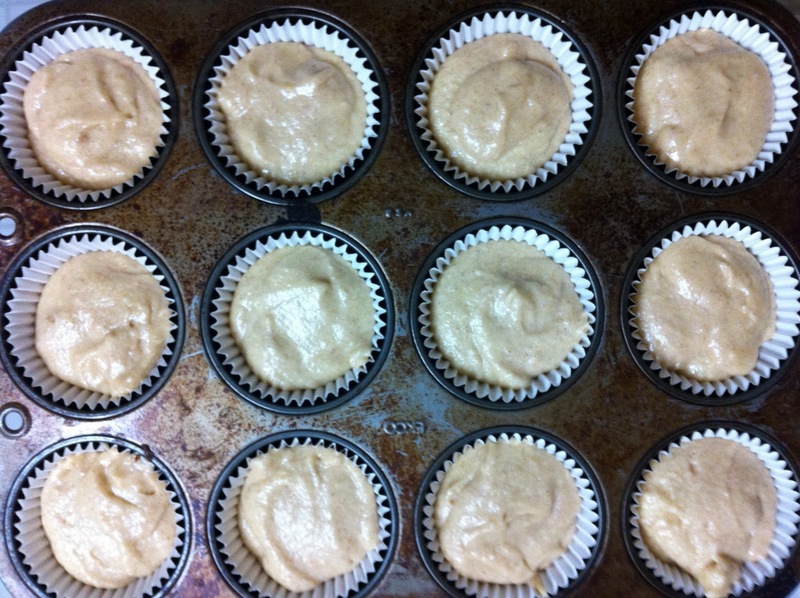 So how does cinnamon cupcakes sound? With chocolate buttercream icing? Tasty? 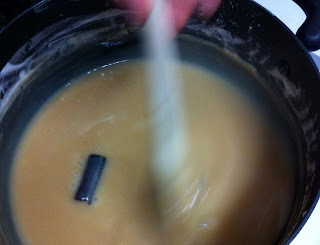 Ok, then let's add a caramel center. Done. 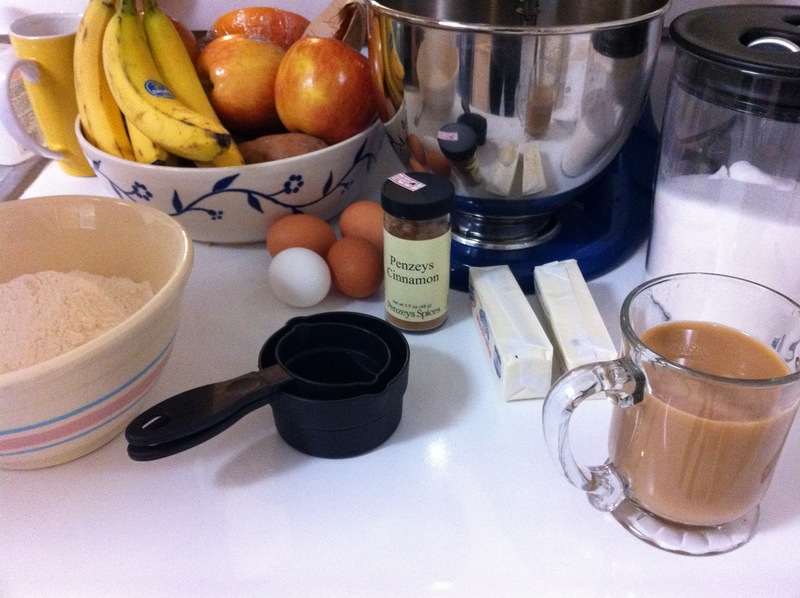 First, organize all your baking things and make yourself a large cup of coffee. 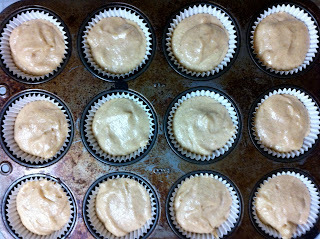 Then, use Martha's Snickerdoodle Cupcake recipe to make the cupcakes. Next, enlist the help of your boyfriend (or as I call him, Sous Chef) to make some yummy Mexican caramel using this recipe. We halved it. 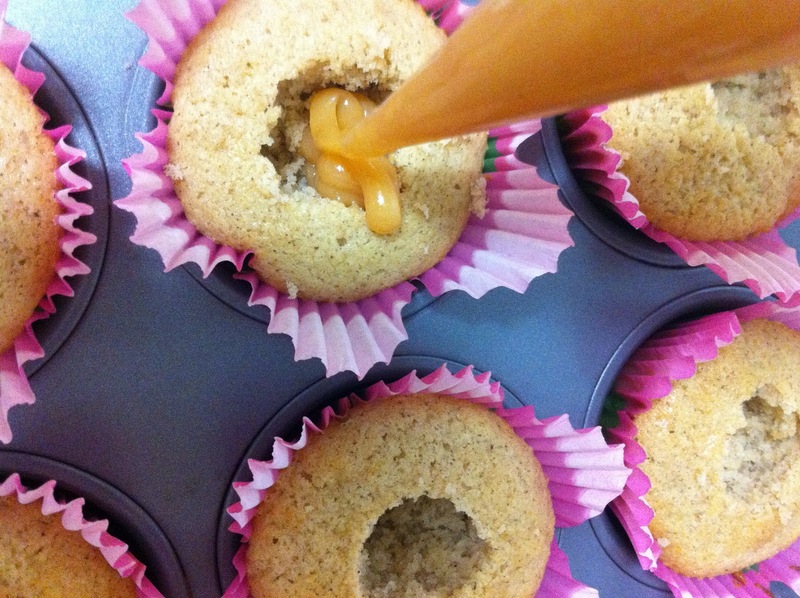 After the cupcakes cool, cut nice little holes in them to fill with cajeta! I used a half teaspoon to remove the correct amount of cake, put the cajeta in a piping bag, then on the sugar high I had from eating all the cupcake pieces, went to town filling my churro cupcakes. 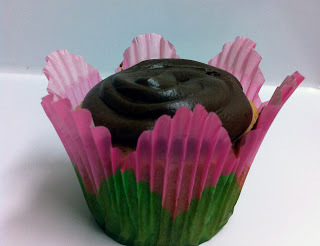 To top them off I used the chocolate buttercream icing recipe I found on the back of my Ghiradelli cocoa powder!